A long time ago in a galaxy far, far away… Those words crawling on the screen changed the world back in 1977, and now today the Star Wars craze is happening again. You might say that the Force is awakening. Well, among all of the craziness that consist of toys, rumors and teasers, I present to you what might be the coolest and most original real world application of a Star Wars gimmick ever. 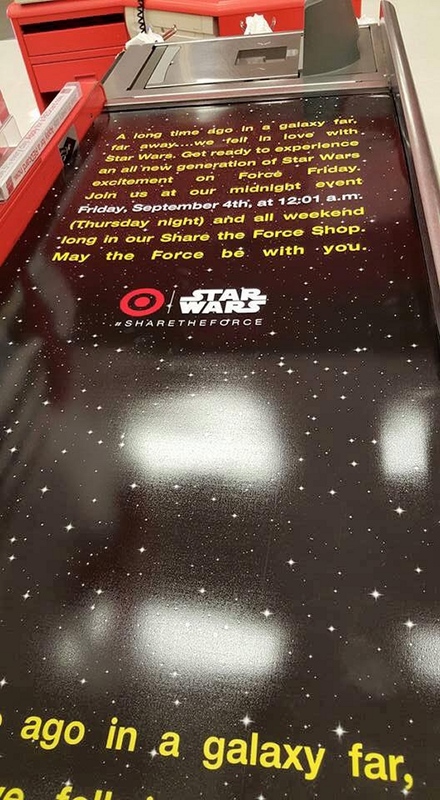 The classic opening crawl will now be appearing at select register belts in select Target stores to promote Force Friday, which occurs on September 4th. Shut it all down, because Target wins.